We told you folks last Wednesday that Design Week is a-comin'. Mark our COLLECTIVE words, next week the creative celebration kicks off officially, and it'd serve you well to peer at the calendar of events and do your damnedest to attend them all. Some will cost ya 10 or 15 bucks, but many are FREE…and you can count on every last one of 'em being chock-a-bock full of inspiring info for the learning and doing. Ultimately, the week is about highlighting the "impact that design has on our community," and we're all for it. All told, Design Week will host more than 30 different events, including workshops, lectures, meet-ups, tours, and creative gatherings of all sorts. Our city just so happens to be filthy with ridiculously-talented designers from all walks, many of whom will be participating in the line-up in some way or another. From folded lamp-making workshops to cocktails with creatives, product design lectures to design challenges; if it requires a keen eye or a touch of taste, this is where you'll learn it and love it. The lectures and workshops will wrap up by Friday, but Saturday the 17th will spring to life to wave an official (slightly inebriated) goodbye to the event. Yes, yes, y'all…it's the Beaux Arts Ball! Having attending this party last year (at the Ladies Literary Club), we can say with certainty that it's a ticket you'll want to purchase. Beaux Arts is a tradition that began in Paris--an annual costume ball wherein attendees go all out before they go "all out." Last year marked the first for us, and the theme for the event was "Muse"--we did our best to live up to the idea with getups ranging from Caravaggio to Duckie Dale. 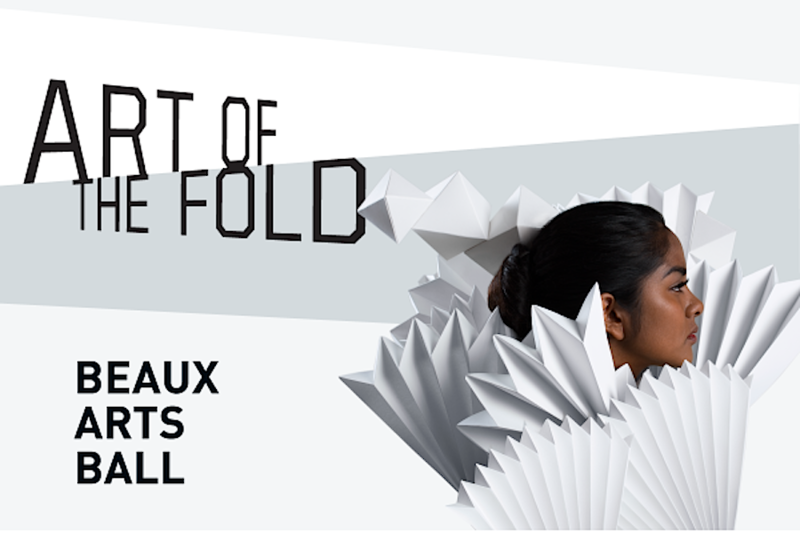 This year will take a turn, however: The Art of the Fold invites attendees to "fold themselves into a creative black tie costume," and we're swirling with possibilities here. Full-body, kinetic, origami suit? A goodly shepherd's costume? Your best pair of slacks with the sickest crease ever? Interpret it as you will, but look gooood, homies. We'll be pulling out all the stops for this one. Held in the newly-built, massive addition to The Front Climbing Gym, it should be a wicked good time. Don't hesitate to grab your tickets at the link below. We'll see you there.